If a cancellation is made at least 4 days before the day of the visit, the cancellation penalty is equal to 8.75 Euro per ticket. For cancellations that are made from 3 days prior the day of the visit, the penalty charge will be equal to 100% of the gross total (price paid is NOT REFUNDABLE). Children under 6 are free of charge, in this case the reservation is not required. 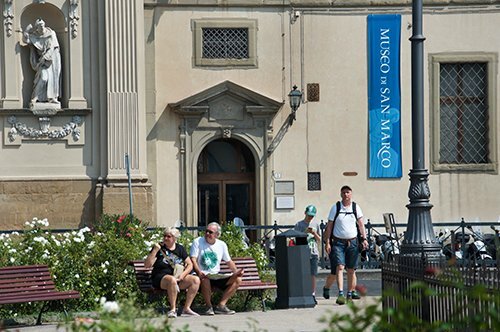 Just one ticket for 5 museums: Boboli Gardens, the Silver Museum, the Costume Gallery, the Porcelain Museum and the Bardini Gardens. Do not waste valuable time at the ticket office, book in advance your entry time. 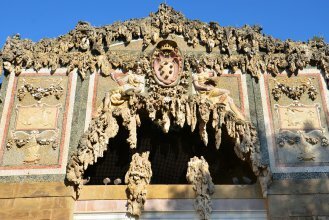 Admire the wonderful Buontalenti Grotto, and the perfection of the lines of one of the first examples of Italian garden. 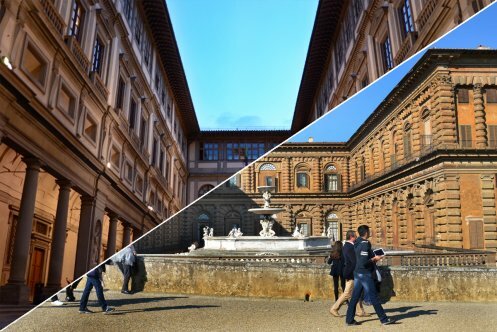 In the back part of the majestic Pitti Palace you can visit a real open-air museum, the Boboli Gardens. The typical Italian garden, home to numerous statues, fountains, grottos, exotic plants and much more. 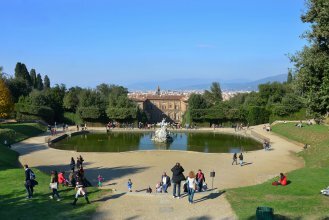 In addition to the artworks and architectural wonders, the Boboli Gardens offer a splendid panoramic view of the city of Florence. Do you wish to enjoy a typical American style lunch? Have a look at the menus we have chosen for you at the Hard Rock Café! 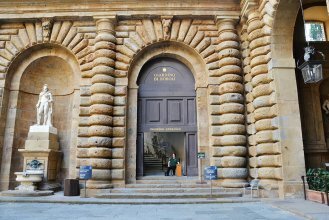 Priority entrance to the Boboli Gardens, the Silver Museum, the Costume Gallery, the Porcelain Museum and the Bardini Gardens. 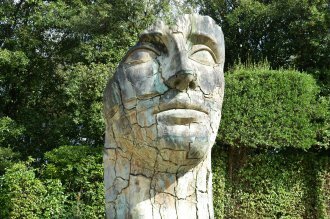 The day of the visit you will have to show your voucher in the reservation desk of the Boboli Gardens, remember to arrive at least 15 minutes before the scheduled time. You can change your reservation by paying again the booking fee of 3.00 euro per person. In case of temporary exhibitions, the entrance price foresees an increase. Remember that you must show an identity document at the entrance, in case of having reduced price tickets. 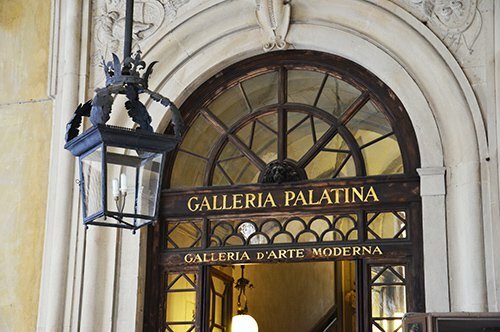 Enter without queuing and enjoy this unmissable tour of the Palatine Gallery! 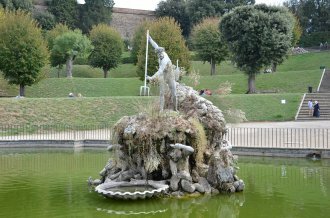 Relive the most important places of the famous novel and visit the Boboli Gardens with a private guide! Visit two wonderful galleries with a single ticket! 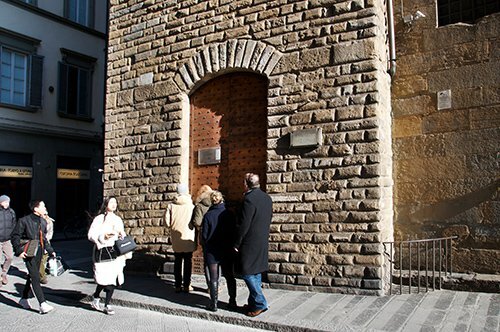 A unique entrance to visit 8 museums without waiting in lines! 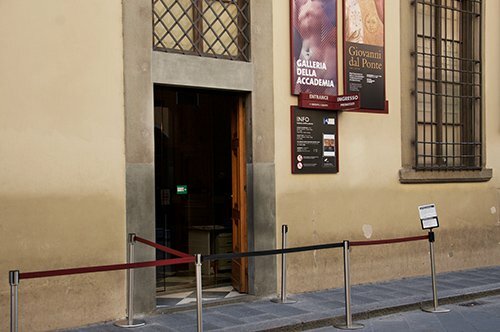 Purchase the priority entrance to the Florence museum dedicated to sculpture and admire the artworks of the greatest artists of the Renaissance! 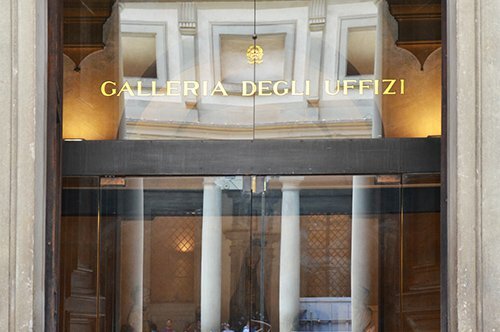 Skip the line with our reservation and admire the treasures of the Uffizi Gallery! 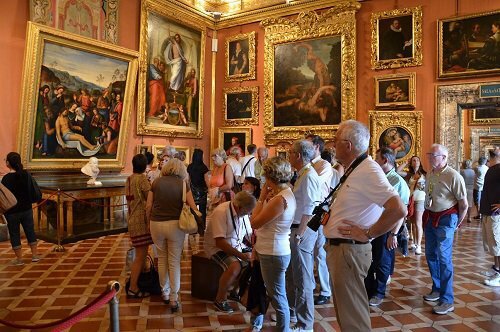 Take advantage of the priority entrance, avoid the long queues and visit the Accademia Gallery! 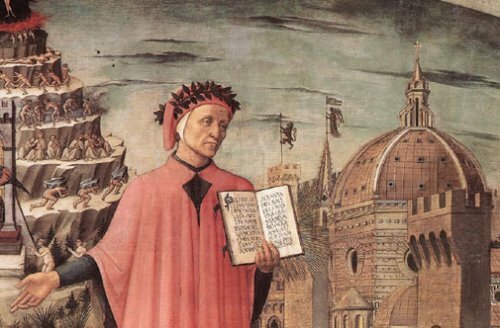 The works of Beato Angélico, Fra' Bartolomeo and the Ghirlandaio are waiting for you in the Basilica of San Marco! 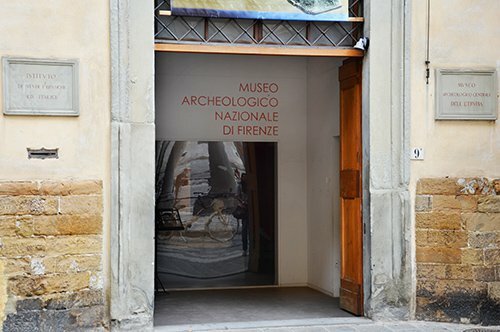 A rich collection of antiques are waiting for you in this important museum of Florence! Visit the museum dedicated to the inventions of the Great Genius! 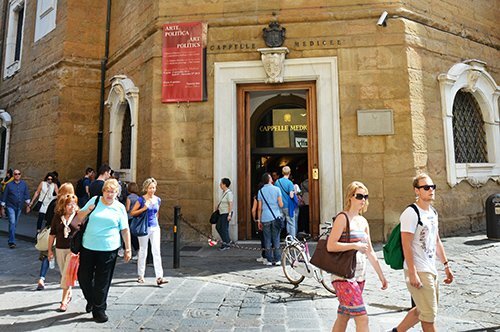 Visit the tomb of the Medici and admire the second largest dome in Florence!